How do we plan for our Homeschool Year? I’m at the tail end of planning for this fall, and thought I’d share some of my scratch sheets with you and try type out my mental process. When do you know when enough is enough? When resources are good enough or on the right path? How do you plot out the subjects, courses, and assignments? Well, let’s see if I can explain. First – I have been cheating the last few years. We’ve followed along with Timberdoodle’s resources since the boys were little. The last few years they have offered Complete Curriculum Kits (They also have secular) made out of their supplies. I’ve gathered these tools from the company, used book sales, and review opportunities. This year is largely based on the 11th grade curriculum kit. 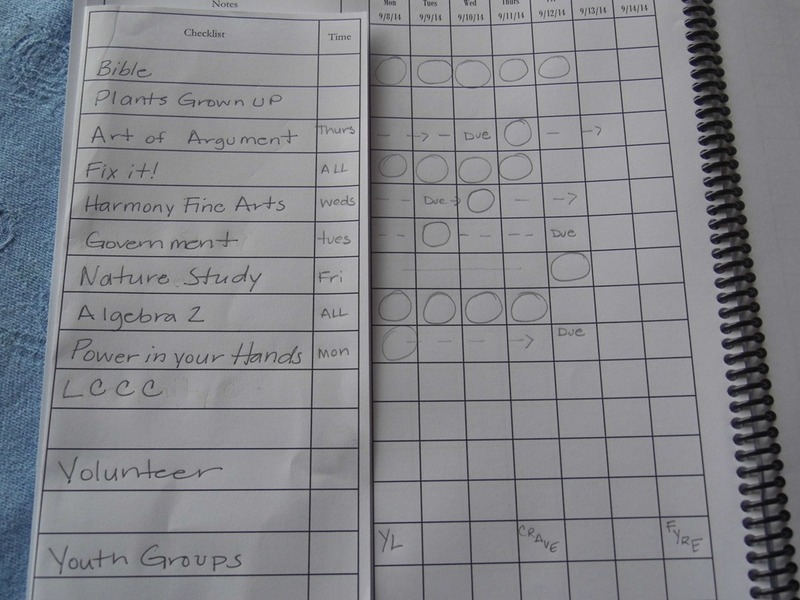 Next I use the Planner pages from SchoolhouseTeachers.Com. This year I used the Course of Study pages. Writing out each supply that I think I need. I write out each resource and price for my budget. Many of the items I’ve been gathering so I already have them. The only thing I have not purchased this year yet is Anatomy. Still not sure if the DVD is what we need and for $99.00 that’s a big gamble for us. The boys have a few Science Review products coming up this fall, so I’ll see if they work first. Next, I move to Homeschool Tracker. 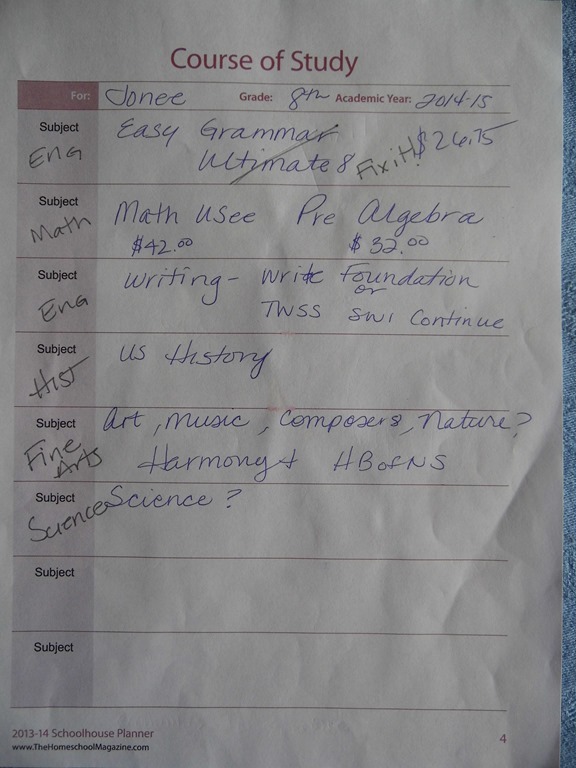 I look at the High School Subjects and Courses in the SchoolhouseTeachers.Com Planner and wrote out a few titles to plug into HST; we use Homeschool Tracker Plus. I’ve kept all of our resources here. This week I plugged in the Art of Argument and Pre-Algebra lesson plans. One thing of using their Lesson Planner – is that I can spent time this month going over the lessons, the whole book/resource and get the big picture. If I do this with HST, then it’s plugged in. 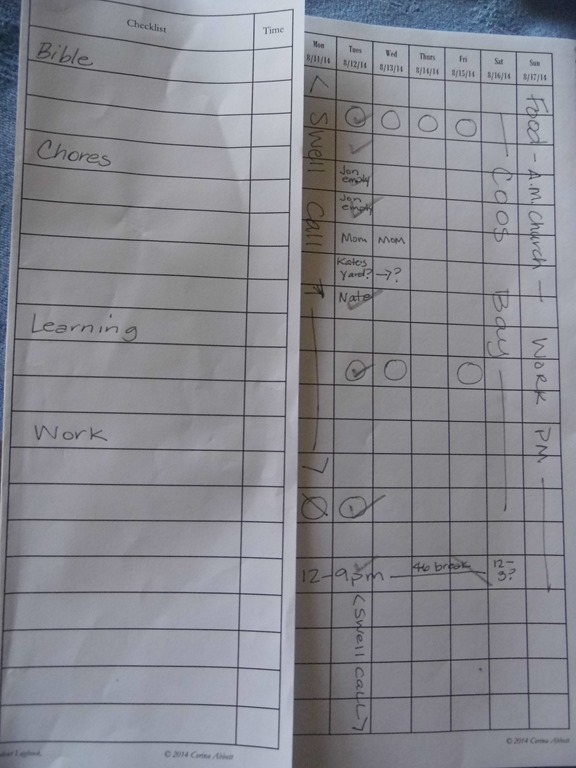 During a week of school – I can assign 1-2 weeks worth of lessons to their Assignments. This helps create a to-do list for the week, and helps to keep track of what we’ve done for transcripts. During the school year, I’ll print out a weeks worth of assignments for both boys. My oldest loves his list and checks it off. He knows what dates things are due and will schedule out his time and hours. My youngest son still loves our White Board. He gets up each morning and as soon as he tops the stairs he looks at the White Board for his assignments. He’s the type that likes to get up early and complete each task quickly so he has his whole day free. 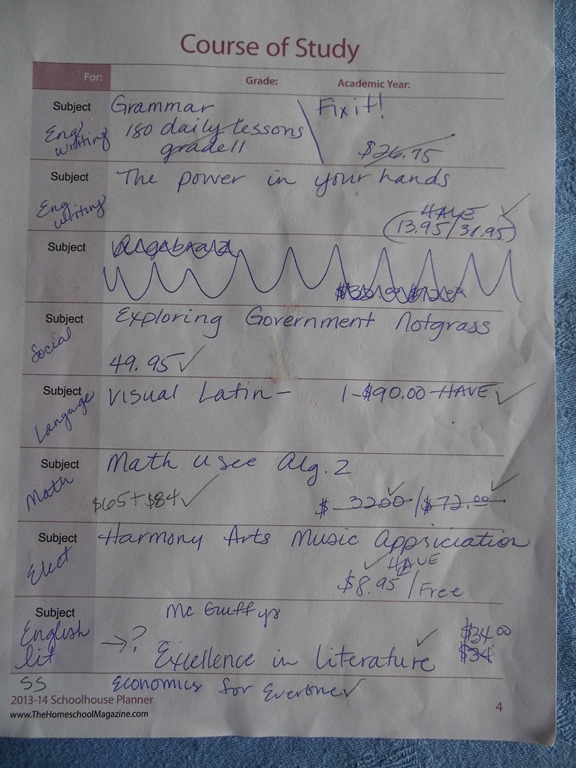 So far (8th grade this year) he doesn’t like printed lists. He likes the white board – with each task written in a different color, so he can quickly see how many he as to do. Sigh. Good thing his mama loves dry erase markers. Ha. I have my favorite calendar – from Mixed Role Productions. I am using it as a combo of my calendar and a Bullet Journal. I tried Bullet Journals with a Faux Moleskin and enjoyed it, but really need the calendar printed out. So I use the left side for appointments and the right side for to do lists. So far it is working great this year. I’m working two jobs in town, Hubby has a half a million doctor appointments, Nate is working almost full time and Jon has crazy surf/fun schedule. We schedule our learning times around our appointment times and vice versa. 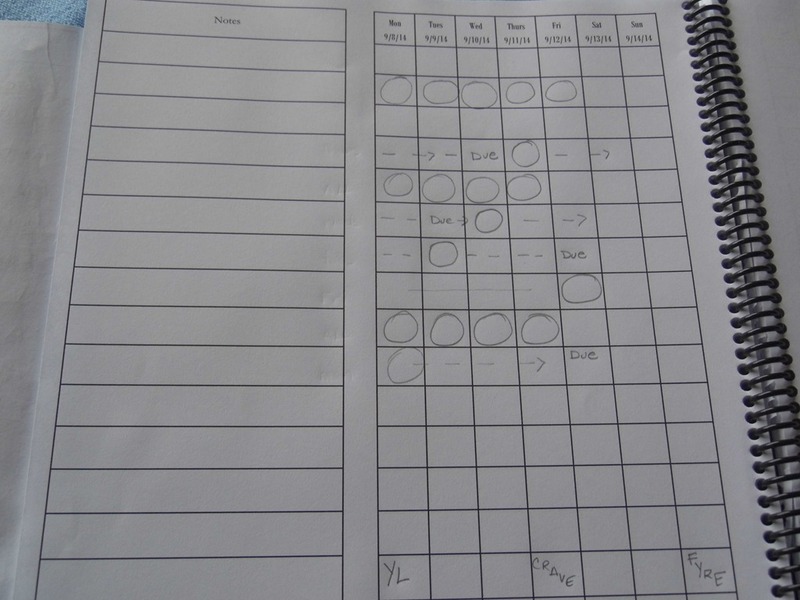 So that brings me to my new tool this year – My Student Logbook. I received this for a review – that I’ll give greater details for in a few weeks – for now I’ll share how I’m using it today. For this week, in the photo above, I’m using it for all of our activities. A checklist to make sure we get it all done. In this photo above, I’ve plugged in the courses for the year. I noticed that I missed Visual Latin and Literature. I’ll plug those in. On the inside of the flap I can write in specifics for the week – chapter, page numbers, verses, etc. Most of our topics are started on one specific day of the week. Like Art Weds or Science Fridays. So, say for Writing – Power in Your Hands – we’ll start on Monday. We’ll do the first assignment while we are together, then he’ll have til Tuesday to finish it. Government on Tuesday – and again, he’ll have til Monday to finish the tasks, and so on. Algebra, Bible, Fix it! Grammar are dailies. LCCC is his job, we’ll plug in those hours. 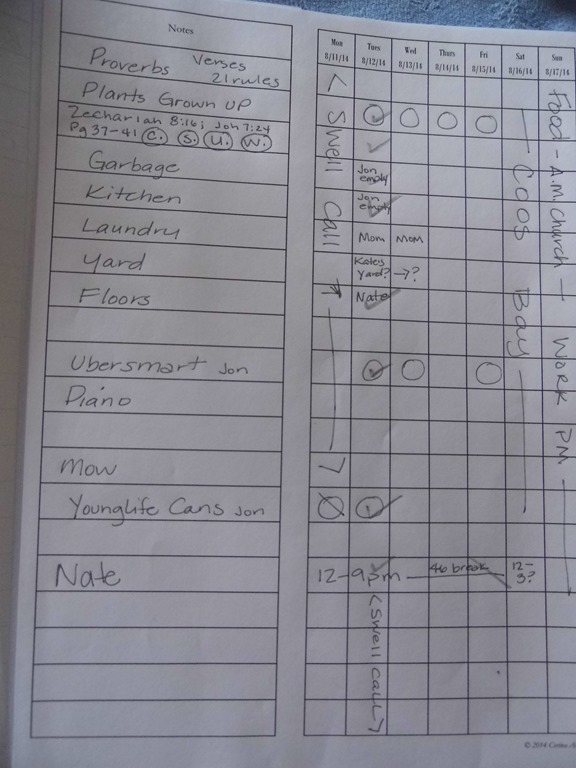 He has permission to work mornings at the pool, so he’ll know which hours he’ll need to be home to get his work done. He volunteers several places, so this will help him know what days he can say yes to – working around his youth group and sport activities. 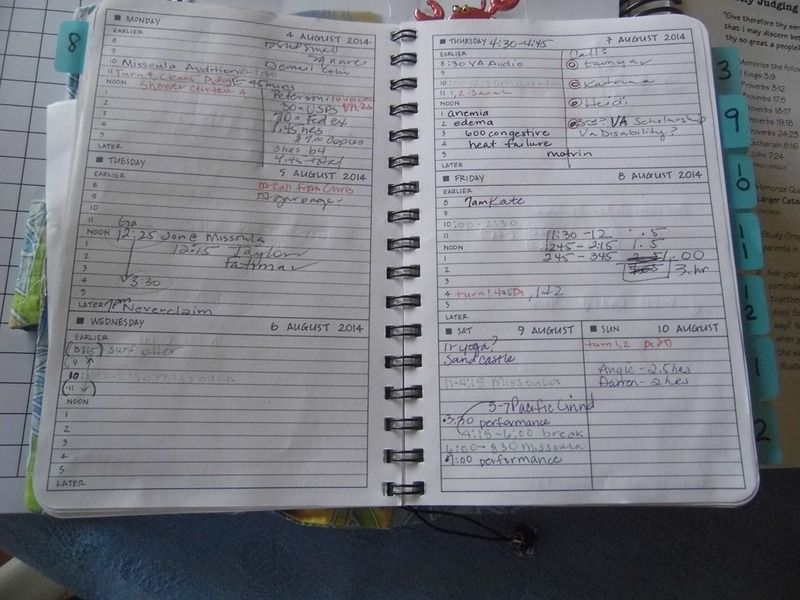 So this year – I really love this Student Logbook. We’ll see if it is easier to just print from HST Plus, or if it is easier to write this in. I am more of a pencil and paper gal, fancy pen bag, fun sticky notes. I’ll still use HST Plus to plot our lesson plans, but might use this logbook to communicate to the boys. I only received one for the review – so I’ll be ordering another one for Jon. Now that I know what products I’ll be starting with in September, and they are ordered, and many are here – time to keep plugging in lesson plans. We are still reviewing products for The Schoolhouse Review Crew – so everything is changeable. If we receive a product that is in the same subject, we’ll take a break from our core and jump into that topic in the new resource. Whew. Doesn’t seem like a lot written down for the hours that has consumed me this past month! These decisions feel like Life Changing Matters for the boys. I have to breathe and remember that we are walking out this homeschool with FAITH. Resting on the Word and Promises there that God is ultimately the one in charge. 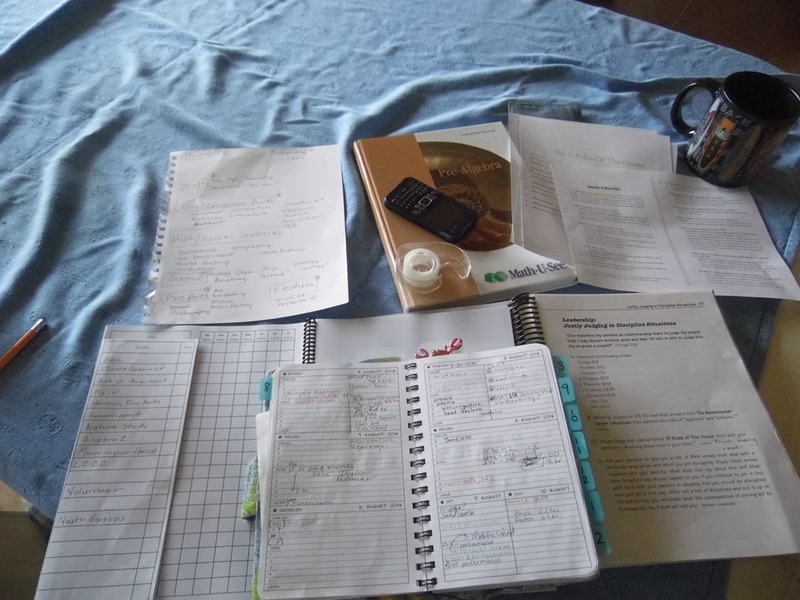 This entry was posted in Books, Some Schooling and tagged courses, high school homeschool planning, homeschooltracker, HSBlogger, hsreviews, logbooks, mystudentlogbook., Planners, Planning, subjects. Bookmark the permalink. 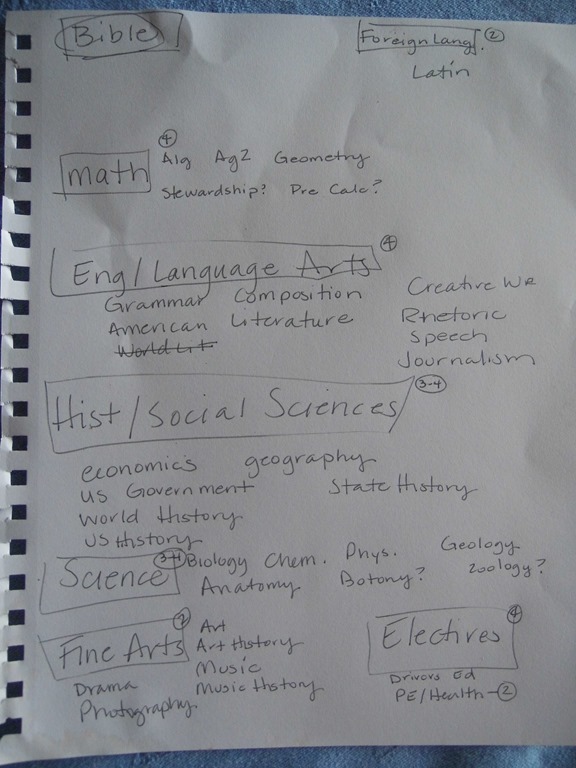 1 Response to How do we plan for our Homeschool Year? I love the log book! Thank you for sharing!